Oscar-shortlist selection THE LOVING STORY, the debut feature by Full Frame Documentary Film Festival founder Nancy Buirski, is the definitive account of Loving v. Virginia-the landmark 1967 Supreme Court decision that legalized interracial marriage. 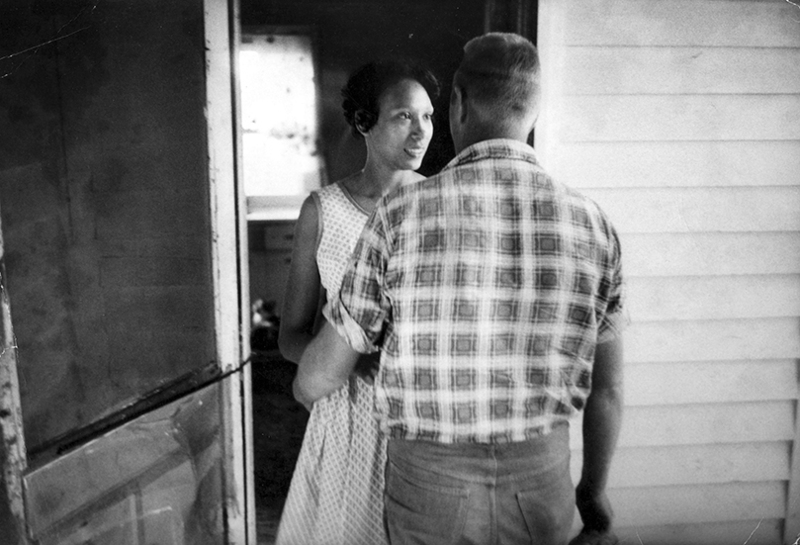 Married in Washington, D.C. on June 2, 1958, Richard Loving and Mildred Jeter returned home to Virginia where their marriage was declared illegal-he was white, and she was black and Native American. At the time, anti-miscegenation laws were upheld in 16 states. The Lovings refused to leave one another and, with the help of the American Civil Liberties Union, took their case to the courts. Hope Ryden's luminous, newly discovered 16mm footage of the Lovings and their young ACLU lawyers, Bernard S. Cohen and Philip J. Hirschkop, as well as first-person testimony by their daughter Peggy Loving and rare documentary photographs by LIFE Magazine photographer Grey Villet, recounts the little-known story of the Loving family. Their case made it all the way to the United States Supreme Court, whose decision-under Chief Justice Earl Warren-finally struck down state laws against interracial marriage throughout the country. THE LOVING STORY takes us behind the scenes of the legal challenges and the emotional turmoil that they entailed, documenting a seminal moment in American history and reflecting a timely message of marriage equality in a personal, human love story.